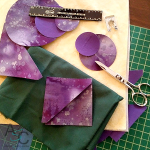 Learn to applique and make appliques the easy way. Destiny and Solaris Owners - do you want to explore your Baby Lock Sewing and Embroidery machine beyond the basics? Join us each quarter as we explore the techniques and capabilities of the Destiny and the Solaris! Take your sewing to the next level with this fun filled club. Learn how to successfully sew a variety of seaming, hemming and embellishment techniques to give your projects a professional finish. Have you always wondered about the Accuquilt Cutting system? This is your chance to use use one to make beautiful star blocks that come together with amazing precision and ease. Participants will how fabric/color choices make such a difference. These blocks go together so simply but, what an impact! Learn new techniques to make a wall art or decorative throw pillows. In class, we will use Clover's yo-yo tools, sewing applique and creating an interesting garden of flowers and plants. Get your embroidery groove on! In this class, you'll get hands-on practice with embroidery machines. Welcome, ASC Duluth as the Newest member of the Floriani Family of Dealers. We're celebrating this amazing product with a day of learning and fun. ASC Duluth is Proud to be the newest member of the Floriani Family of Dealers. We now offer all of Floriani's amazing line of products. We're celebrating in a big way with this educational lecture/demo on stabilizers and more. Modern Quilter, Sylvia Shaefer, with Flying Parrot, is coming to ASC Duluth to share her unique style of free motion quilting. Join Michele for this unique and fun Block of The Month. Six exclusive garden and sewing themed projects that are perfect for your home or gifts. Don't waste money paying someone to fix your clothes for you. 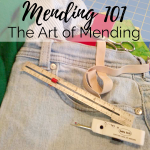 Learn how to do it yourself with this Mending 101 class! Serger-iffic! Whether you have a new serger or a much-loved serger come to this quarterly club and sharpen your serger skills while making an adorable project. This class is for those who just started sewing or want to start sewing! Join us to learn: - Parts of the sewing machine and how to keep the machine in good working order; - How to thread a sewing machine and wind a bobbin; - Confidence by sewing straight lines in easy woven cotton projects; - Learn to create a French Seam; - Prepare for future classes using important sewing tools. As the class progresses, the student learns techniques sewing the projects in class designed for the beginning student. This class builds off the skills from Sewing 101. As you expand your sewing skills, you will create a designer pillow and a small zippered pouch. Techniques you will explore include; -cutting fabric and projects accurately -following pattern instructions -the correct way to use iron-on interfacing -using specialized presser feet installing a zipper. Learn more about modern quilting from Sylvia Shaefer. A fabulous tote that can be used for so many things - tools, make up, class supplies, and more! Use your imagination as you learn sewing tips and tricks while creating this tote that includes lots of pockets a strap and fancy zipper! Come and get acquainted with your NEW ASC sewing machine. This class is designed to teach owners about the care and features of their new machine. Students receive instruction on how to get the best from the BL9, Molly, Anna, Jazz, Zest, Joy, Zeal, Jane, Accomplish, Rachel, and Jubilant. Please bring your machine along with all accessories and manual. If your machine was not purchased at ASC, please call the store. This class is for new owners of *ASC BABYLOCK sergers. In this class, we cover the different types of thread that can be used, the proper needles, cleaning and care, along with threading the machines and the different overlock stitches. Price covers fabric and threads supplied in class. Come & learn all your serger can do! *If you purchased your serger elsewhere, please call the store for details. This class is for new owners of ASC BERNINA 5, 7 & 8 Series machines. Learn basic operation of your machine and what all the parts and accessories that came with it will do! A $5.00 fee covers fabrics & threads. There is no additional fee if you purchased your machine at ASC. If you purchased elsewhere there will be a class fee, please call 770-622-1880 for details. This class is for new owners of ASC BERNINA 5, 7 & 8 series machines. In this class you will learn how the creative feature in your machine can be used. Combi-mode, decorative stitches, memory features, stitch creation and more! The BERNINA Stitch Regulator (BSR) will also be introduced in this class. A $5.00 fee covers fabrics & threads. There is no additional fee if you purchased your machine at ASC. If you purchased elsewhere there will be a class fee, please call 770-622-1880 for details. This class is for new owners of ASC BERNINA machines with Embroidery. Learn how to use your embroidery module. Open and save designs, basic editing functions and embroidery tips. Come and learn what your machine can embroider! A $5.00 fee covers fabrics & threads. There is no additional fee if you purchased your machine at ASC. If you purchased elsewhere there will be a class fee, please call 770-622-1880 for details. Learn new software techniques and explore the tools available to take your creativity to the next level. BERNINA's Software 8 can be used to efficiently create many projects with quilting, embroidery, and more. If you want some hands on practice, be sure to sign up for BERNINA Software Inspirations from 11am-1pm . 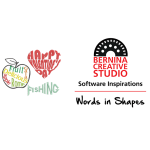 The Hands-On part of BERNINA Software Inspirations is a two-hour session from 11:00 AM - 12:30 PM. Sign up for the Informational portion that begins at 10am to get all the information! Check back later - We're going to have an event this weekend. Learn the ins and outs of your new machine. This class will teach you how to use, maintain and master your new BERNINA. Learn where and when to clean and oil your machine. Discover all the accessories and their uses while bonding with what we are sure will be your new BFF for sewing. Be sure to bring your machine, all accessories and manuals. If you purchased your multi-needle machine at Atlanta Sewing Center and have had your guide class, please call and sign up. We will share thoughts, questions and ideas with expert advice along the way. Class fee is $10. Didn't buy your machine from ASC? No Worries! ASC offers a membership plan just for you. Please call, and we will be happy to set you up with your membership. (770-428-5522) For the FEB. 14 session, come and fall in love with hats! Marian will zero in on attaching the hat hoop, hat setup, and of course tips for getting the best results embroidering on hats. This class is designed for anyone age 8-12 years old interested in learning the art of sewing. Participants will start and finish a project with each session. Machines and sewing essentials will be provided. There is a $15 kit fee payable to the teacher. Come and see just how much fun sewing is. A snack is provided. Make six exclusive garden and sewing themed project that is perfect for your home or gifts. Are you having trouble hooping your fabric? Do you just guess when and how to use a stabilizer? If so, this is the class for you! Learn how to get professional results with your embroidery. Learn the ins and outs of sewing with your new BABYLOCK Destiny II. The morning is designed to teach owners about the care and features of their new machine. Students receive instruction on how to use the accessories and features to create amazing projects. Also, get acquainted with the embroidery features of the BABYLOCK Destiny II. The afternoon is dedicated to teaching owners how to get the most out of the embroidery features of your Destiny II. Please bring your machine along with all accessories and the owner's manual. THIS GUIDE CLASS IS PRESENTLY BEING SCHEDULED ON AN INDIVIDUAL BASIS. PLEASE CALL THE STORE TO SCHEDULE YOUR CLASS. Use your Version 8 software to digitize (create) embroidery designs from graphics. Students explore Corel Essentials, import a graphic, and use Version 8 tools to create a stitchable file. This class covers lettering and editing designs in BERNINA software version 8. You will use reshape and other features to personalize your designs. Bring your laptop preloaded with BERNINA software, paper and pen for note taking. If you have a BERNINA 560-580, 7 series, or 8 series machine with an embroidery module, this class is for you! This class takes you through the different screens, icons, and setup on your machine to customize it to your specific needs. Take your sewing to the next level with a machine customized by you for you! Please bring your machine, all accessories, power cord, foot control, thread, and scissors. If you have a BERNINA 5NG series machine with an embroidery module, this class is for you! This class takes you through the different screens, icons, and setup on your machine to customize it to your specific needs. Take your sewing to the next level with a machine customized by you for you! Please bring your machine, all accessories, power cord, foot control, thread, and scissors. Join digitizing friends to learn a new tool or technique each month. BERNINA provides step by step instructions, video instruction and PowerPoint instruction for these exciting projects. Take home a DVD each month containing all files and instructions.